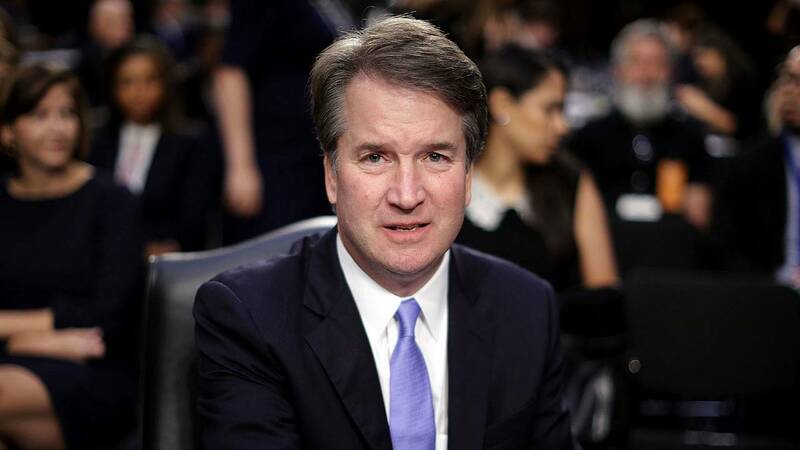 WASHINGTON (CNN) - A conservative strategist and defender of Supreme Court nominee Brett Kavanaugh apologized Friday for making "an appalling and inexcusable mistake" when he claimed Thursday that Kavanaugh's accuser had misidentified her alleged assailant as Kavanaugh. In a tweet, Ed Whelan, the president of the Ethics and Public Policy Center and, according to The Washington Post, a strategist helping Kavanaugh navigate claims of sexual assault by Christine Blasey Ford, said he "takes full responsibility for that mistake, and I deeply apologize for it." In a series of tweets that have since been deleted, Whelan said Ford may have confused Kavanaugh for a different classmate, one that he named in the tweets along with the address of the house where he suggested the reported attack had taken place. According to the paper, Ford denied she had confused the man Whelan named for Kavanaugh, who she alleges attacked her at a party in the 1980s when they were students at Washington-area schools. Kavanaugh has denied Ford's allegations. The Washington Post first reported on Whelan's tweets. Later Friday, Politico, citing three sources, reported that CRC Public Relations, an Alexandria, Virginia-based firm, helped build anticipation for Thursday's tweets in coordination with Whelan. CRC is best known for its work with the Swift Boat Veterans who helped tarnish Democrat John Kerry's military credentials during his 2004 presidential campaign. The Post reported that Democratic aides have said Democratic members of the Senate Judiciary Committee "are likely to pose questions" about Kavanaugh's involvement in Whelan's claims "directly to Kavanaugh, when he is under oath." The newspaper reported that Whelan "has been involved in helping to advise Kavanaugh's confirmation effort and is close friends with both Kavanaugh and Leonard Leo, the head of the Federalist Society who has been helping to spearhead the nomination." On Friday, President Donald Trump deviated from his previously measured comments about Ford's allegations, saying in a series of tweets that his Supreme Court nominee is "under assault by radical left wing politicians."